Are you looking for a vibrant, flavorful appetizer that is EASY, and quick to make? 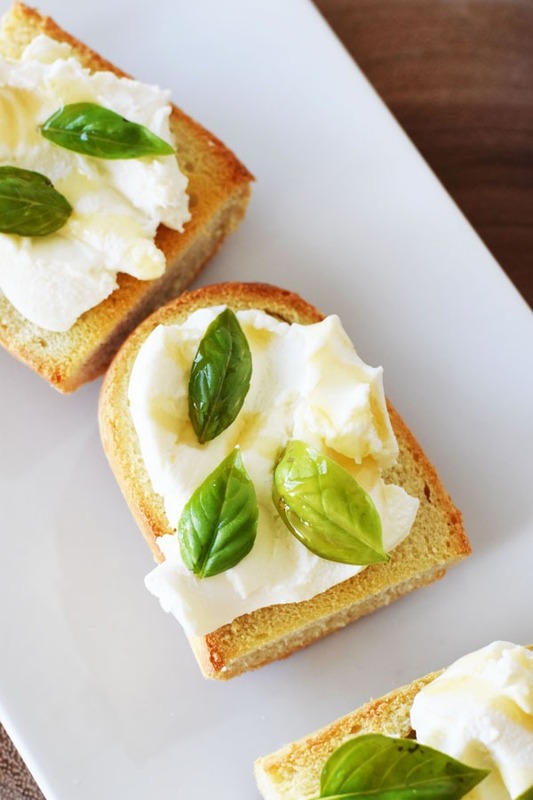 Look no further, these Sweet Ricotta Basil Toasts are PERFECT for your holiday gathering or party. 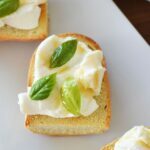 Seriously, with just 4 ingredients from start to finish, your guest will love the fragrant taste of the fresh basil, fresh ricotta, and sweet drizzle. The sweet attribute to these lovely appetizers comes from a new product on the market that is similar to a honey but has less calories. It is called Truvia® Nectar, and is an ideal as a sugar, agave, or honey substitute, and goes great drizzled on fruits, and in drinks like tea. You can find it at stores like Target for $6.99 (10 ounce bottle). 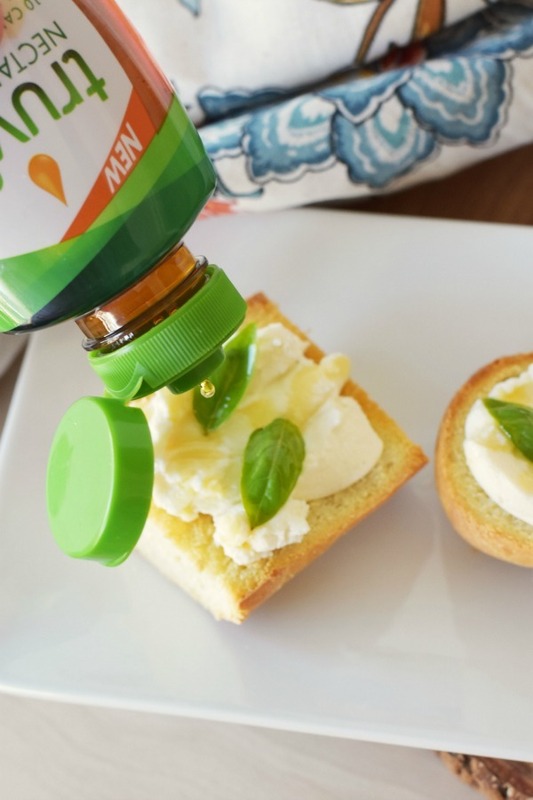 I have to say, this Truvia® Nectar was so easy to use, and tasted great on my Sweet Ricotta Basil Toasts. While I do love honey, we all know how messy and difficult it can be to drizzle elegantly on dainty appetizers like these. 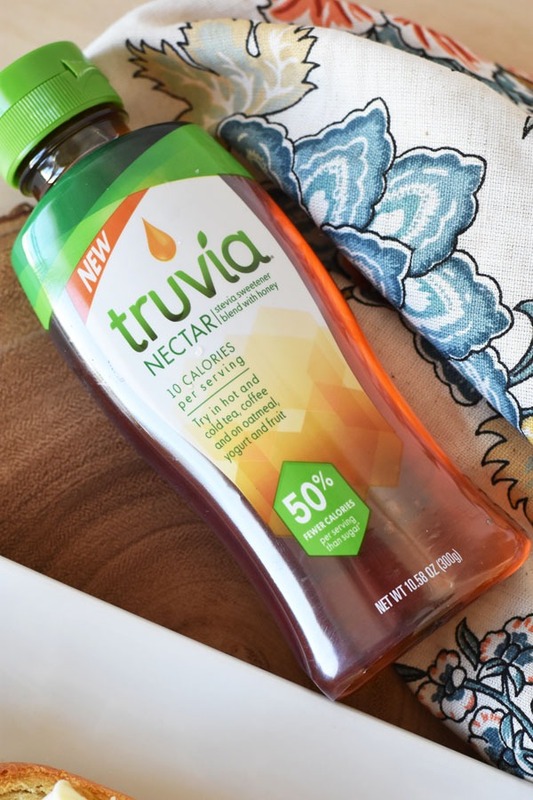 I love that the Truvia® Nectar is made with stevia leaf extract and allows people trying to manage their sugar intake to still enjoy a sweet treat. If you are looking for a honey substitute that is still loaded with sweetness, and has a similar texture, this product is great. 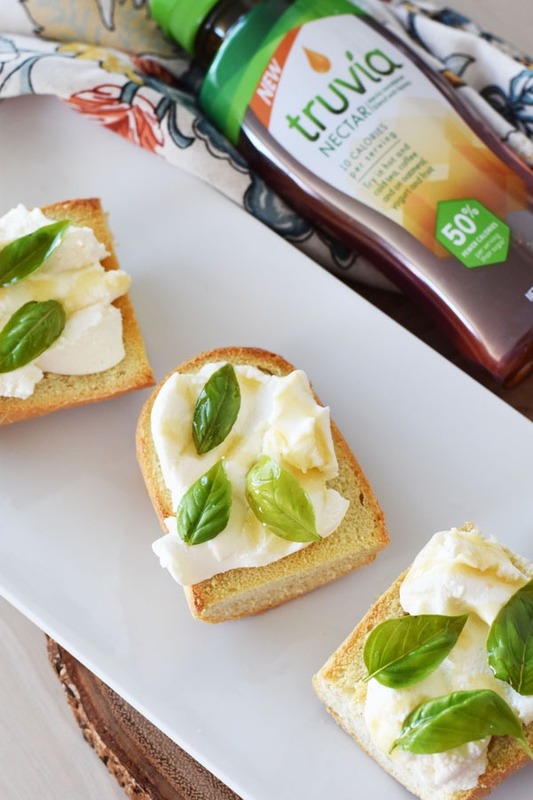 Best of all, I did not find an after taste while using the product for my Sweet Ricotta Basil Toasts. I don’t know about you but I hate bitter aftertastes, and did not detect one. Of course everyone’s taste buds are different, but this product was sweet, smooth, and made the perfect drizzle. 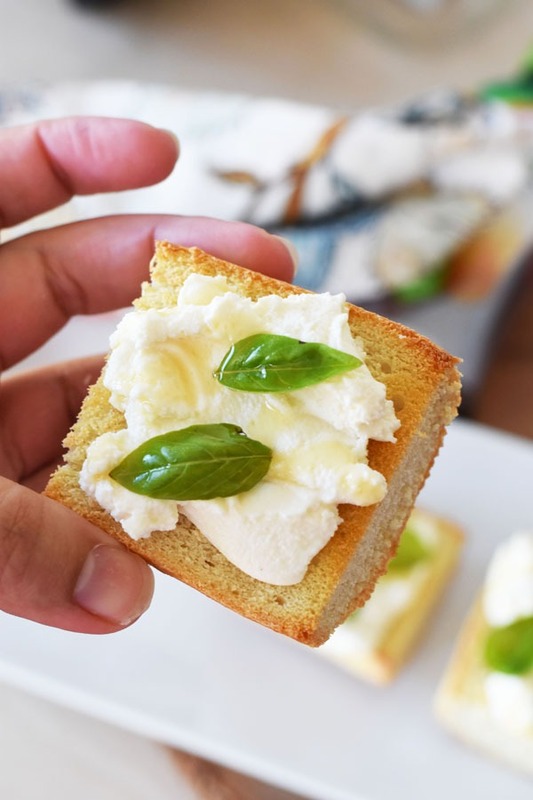 A vibrant tasting appetizer that pairs fragrant fresh basil leaves with smooth ricotta, and a drizzle of sweetness. 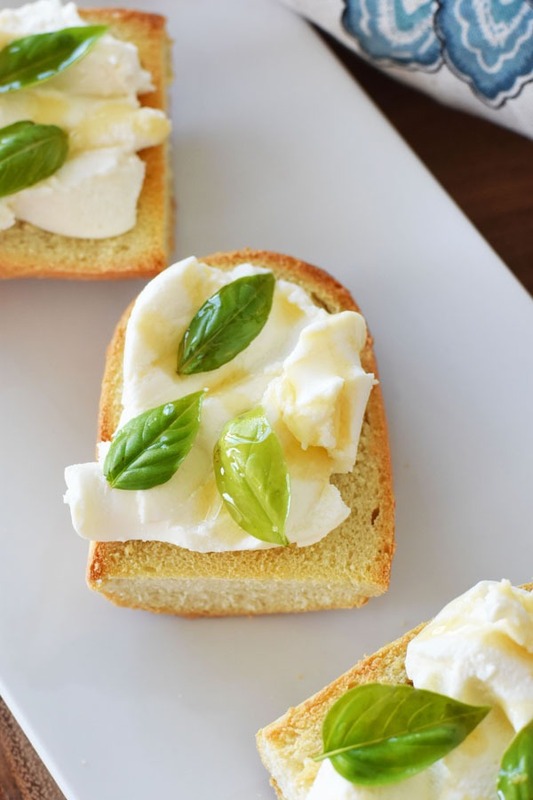 After your bread is toasted, and cut into smaller pieces, spread on some ricotta and top each toast with 3 small basil leaves. Drizzle with Truvia® Nectar and serve.